Twitter is a one of the place were people look for information other than three search giant Google, Yahoo and Bing (MSN). By following the below simple 10 steps you can easily setup custom Twitter search results for your query or search keyword in your website that may help your readers. Make your site interesting with custom twitter search results. Easy way to setup custom twitter search results related to search phrases for your website without the help of widget. Try Now. It's interesting! Click Twitter Search URL http://search.twitter.com/ or Copy & Paste to your browser address bar. Now the tweets are displayed for all the language. You may selcet your language using the option "Show tweets written in:" right site of the search page. I have selected "English"
Step 4: Select "Feed for this query"
Now you can click on “Publicize” button and you will be landing to a page "publicize your feed". In this, on left side you can see services listed and from that you can click “Headline Animator”. Step 10: This is how it looks! You have the code now. Place it in the website or blog HTML and publish. Now you are done. Your "Custom Twitter Search Results" will look something like below, animating real time twitter search results for your query. Here the search results are displayed for the term "Google". Feel free to post your feedback and suggestions in below comment section. 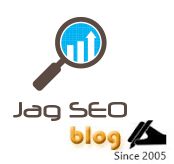 Integrating Google Feedburner with blog feeds. Easy way to setup Google Feedburner to your Blogs and Websites. Make your blog posts popular. Help your readers to subscribe your blog posts updates easily through Feedburner's headline animator . Try now. Don't miss it! The blog post has a write-up to setup your blog feeds to the place you desire. Login to Google feedburner using your Gmail account. Assume you have selected one of your blog feed. In the Feedburner dashboard you will have an option to paste the blog feed link in an text box as below (Refer Figure 3.1). If you have a podcast in your blog then click on check box “I am a podcaster” and click next button. If you don't have a podcast in your blog then leave the check box and click next button. On the next screen you may alter your Feedburner title and feed address and click again next button. Now your Feedburner would have been created and you can see it live in the feed address you have created as seen in the below image (Refer Figure 3.2). Now you can share your feedburner's blog feed to your readers and friends. In Feedburner created page you have options to move to next step to configure stats (Refer Figure 4.1 and Figure 4.2) or to skip to feed management page as seen in below screenshot (Refer Figure 4.3). Now you can click on “Publicize” button (Refer Figure 5.1) and you will be landing to a page "publicize your feed". In this, on left hand side you can see services listed as seen in the below screenshot and from that you can click “Headline Animator”. (Refer Figure 5.2). Here comes the page were you have the code to configure the “Headline Animator” Feedburner in your blog. Before that you can change the theme, colour code, wrap long headlines and font size for your taste and click on the Activate button as seen in the below screenshot (Refer Figure 5.3). Once it gets activated you can see an drop down option at the top of the page to select the type of platform you are about to use the code. There are options like my space, blogger, wordpress and so. Also you may select other option (just gimme the code) as seen in below screenshot and click next (Refer Figure 6.1). A pop new window will be opened with the code to paste in HTML part. Creating Feedburner Widget for Blog - In Addition, if you would like to add your blog post activity Feedburner to your blog or signature then you may select the respective option and click next so that it takes to the next level of widget. Suppose if you select Blogger blog and click next you will have a pop up window with "Add to Blogger" button as below (Figure 6.2). Click "Add to Blogger" button and it will open a new window where you can signin using your blogger account. Once you Signin you will be taken to a page with "Add Widget" Button. Click the button to add to the Widget to your blog layout page. Now you can click Save button in top right corner for the widget to show in your live blog. This can make your blog visitors know your posts in blog and this can even tend to click on the posts. Step 7: Copy and paste the Code.That's it. Now you may copy the code and paste it anywhere in the HTML part. The headline animator can be seen by adding to the blog post / HTML template (Blogger) or by having the code in the .php file (Wordpress) in the place were you like to display. TIP: If you have no idea about HTML then you can have the headline animator Feedburner code after Div or Table closing Tag. You can press save / publish button. Now your code is updated. That's it. You are done and it would look something like the one below in your blog. It is recommended to have Good Feedburner headline animator in your blog or websites for the visitors to know the activity on your blog. Feel free to subscribe and share your comments.